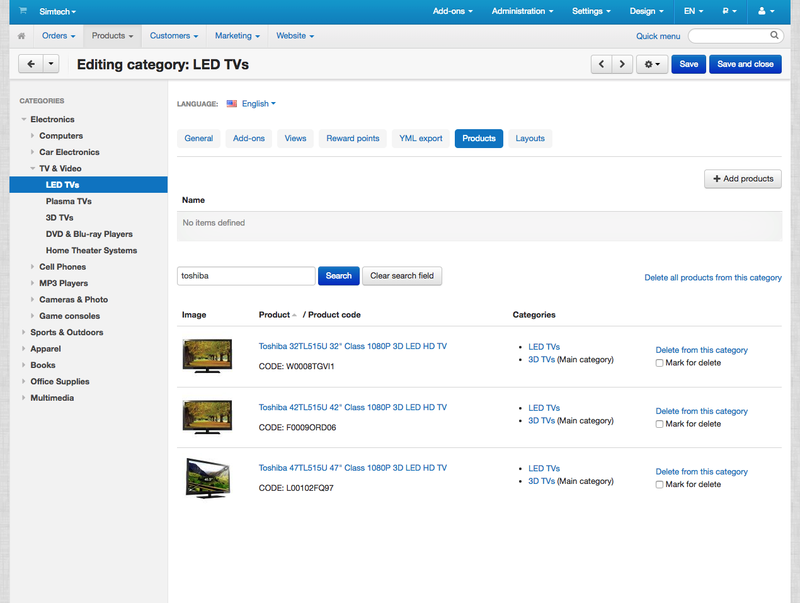 The add-on "Editor of products in the categories" that allows you to easily edit the product category directly from the category page. Using the add-on you can easily change the list of products without leaving the category page. It does not need to go into each product and change its category. Also using the add-on, you can easily fill the category of new goods, thus saving lots of time. After add-on installation, you will see on the category page in a new tab "Products". fastest editing products on the category page. convenient functionality for adding and removing products. search by products category on the new tab "Products". mass deletion of items from the category. 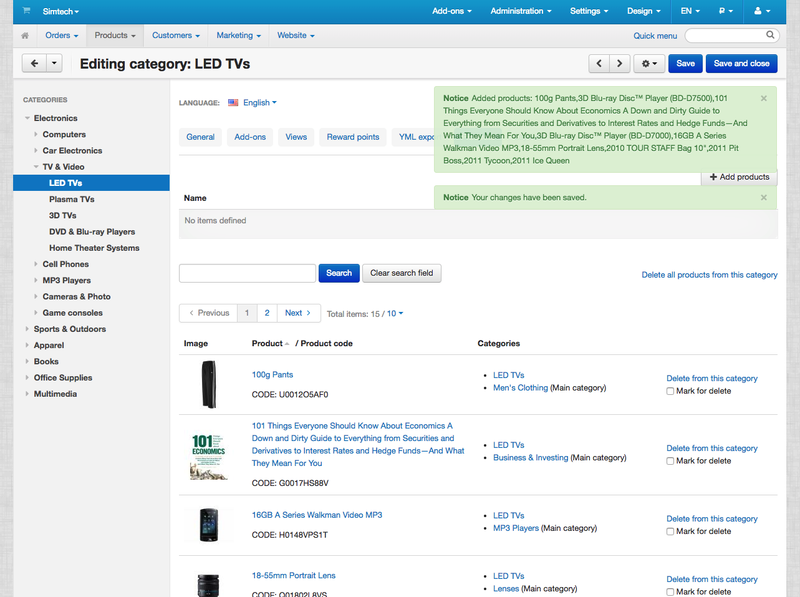 implemented pagination for easy viewing of products in the category.